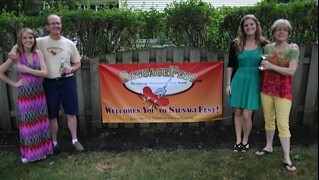 Sausagefest is about enjoying the diversity and artistic efforts involved in making and eating sausage. Sounds pretty simple, but consider how ubiquitous sausages are in all in our nations and how little time, history, or discussion there is about sausages. We think it’s time sausages take a respectable place at the major table in our culinary tradition. Sausages have been enjoyed for more than a thousand years. If you go to Homer’s the Odyssey (book 20, verse 25) it talks about blood sausage being grilled. Here at sausagefest.com we saw that sausage – in all its variety – needed a main stage where one of our oldest food traditions could have a home. And, it’s too much of a major economic part of our food economy to be ignored. Sausages play a substantial part in our world. In the United States, according to figures for 2010, dinner sausage sales increased 2 percent, to tallied $1.89 billion. Breakfast sausage/ham sales increased as well, at more than $9 million in sales (Source: National Hot Dog & Sausage Council). The National Hot Dog and Sausage Council’s 2011 annual report projects that MLB ballparks around the country will serve 22,435,400 hot dogs this season. That represents 1.06 million more hot dogs than 2010, or a 5 percent increase, the first increase in three years. Even from an international perspective, sausages are part of many nations’ history and identity. Could England be England without Bangers? No! Could Germany be Germany without Wurst? No! Could Louisiana be Louisiana without Andouille sausage? No! Would there be a Poland without Polish Sausage? No! Would Chicago disappear without hot dogs? Yes! Could Toronto exist without sausage vendors? No! 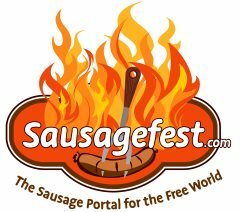 So Sausagefest is a term, for the most part, for fun and enjoyment and sausagefest.com is going down that road.